Share the post "Vitamin C: Why You Need It And How To Get More"
We have all heard that we are supposed to pile on the vitamin C when we’re under the weather. But vitamin C isn’t just for sick people. As a matter of fact, vitamin C is an important part of keeping many parts of your body healthy. Vitamin C is a key nutrient needed to produce the protein collagen, which gives skin its strength and firmness. It also aids in the growth of blood vessels and cells. Vitamin C is an antioxidant that helps skin to repair itself and slows free-radical damage. Free-radicals can lead to dry skin, fine lines and wrinkles. Research has shown that vitamin C can reverse skin damage and reduce chances and effects of sunburn. Cataracts is a condition of the eye in which the lens becomes opaque at increasing levels, leading to blurry vision. Vitamin C is necessary for the proper function of the lens. 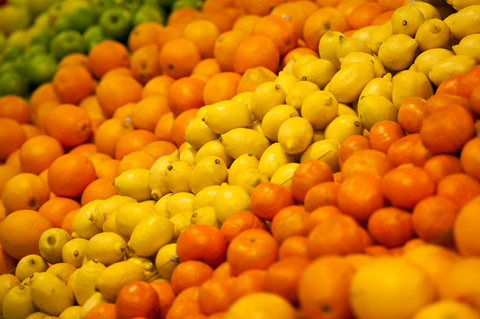 Deficiency in vitamin C can ultimately lead to cataracts and increased consumption has been found to fight them. You can see that vitamin C is essential to the proper function, healing and maintaining of your body. 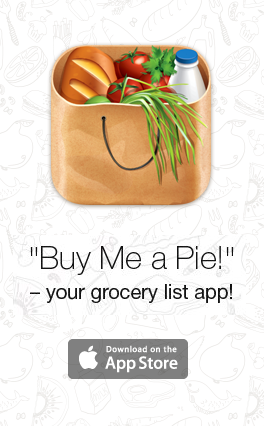 Now what do you add to your grocery shopping app to make sure you get your fair share? You could easily add a supplement and if you feel you are at risk of not consuming enough vitamin C through whole foods you should discuss doing so with your doctor. But there is a wide variety of delicious foods that are loaded with vitamin C just waiting for you at your grocery store and farmers market. With an amazing list of foods like that there is no reason to not give your body all of the protective and healing vitamin C it needs. Add your favorites and a few new items to your grocery list app and see how many delicious ways you can come up with to get your vitamin C.